There’s been much ado about the diversity gap in tech. The big dogs, Microsoft, Google, Facebook, Twitter, EBay and Apple, have all released data, showing how much of their respective work force is made up of minorities and women. Needless to say, the stats aren’t encouraging. For the most part, tech is a white male dominated field. Depending upon where you look, there’s anywhere from a 70/30 to 90/10 male to female ratio in tech. From an ethnic perspective, the stats are far more sobering. Generally, tech in the US is 58% white, 34% Asian, 2% Hispanic/Latino, and 2% Black (and 2% “other”). The diversity gap stems from the fact that hiring in tech companies isn’t proportional to population. While Blacks make up approximately 13% of the US population, they represent only about 2 to 3% of the technology workforce. The disparity is palpable, especially when you think about the billion dollar valuations of tech companies like WhatsApp, Instagram and Tumblr, and how few people of color are up in the cut. As a self-professed Black techie, I see this disparity every day. In the majority of the tech circles I’m in, there are very few Black/brown faces. We need more color in tech. It’s one thing to know what the problem is. It’s quite another to solve it. Tech firms have begun recruiting at HBCUs and asking colleges and universities to recommend qualified Black students at job fairs. But in my opinion, we’ve got to start earlier. Obviously, exposing our youth to technology and fostering a love of math and the sciences is key. Growing up, my father encouraged me to be an engineer. His first son was going to be an engineer, by hook or by crook. Despite his aspirations for me, I simply wasn’t interested in joining the geek squad. I fought him tooth and nail and I got an economics degree instead. Today, I’m scraping together a meager existence and engineering jobs remain unfilled – or filled by white and asian men. Who knew that Uneze had such foresight? Why did I resist so vehemently? Was his delivery so suspect that I gave it little to no weight? Or was I just not checking for an industry I found to be so square? Tech simply didn’t do it for me. Looking back, it makes me wonder how many Black parents wanted their children to go into math and the sciences, but couldn’t instill any excitement in them to take it up? All the Neil deGrasse Tysons of the world, much like Uneze before him, aren’t turning urban kids on to science. My first proper experience with tech was cool. I helped launch a Harlem-based start-up called DigiWaxx. DigiWaxx was an online digital music promotions company that created a digital platform which made sending physical copies of records to DJs obsolete. While it was primarily music and artist promotion, we pioneered what became the standard in digital distribution of promotional content. The technology we employed was very rudimentary (at the time), but it was still tech. And it gave me a glimpse into the myriad of non-traditional opportunities that existed in tech. It also exposed me to the some really progressive folks on the leading edge of technology – most of whom were Black. Folks like Russell Simmons and (360hiphop.com and Global Grind), had whole teams of Black techies, who simply did not fit the stereotype of tech. Today, I’m steeped in technology helping brands to build mobile websites, mobile and tablet applications, and immersive interactive experiences. I’m also spreading the message about how cool tech can be to Black and brown kids to help overcome the diversity gap. Well for one, I’ve started TechCool.org. Well, I haven’t actually started it. I just copped the URL yesterday when I was thinking about writing this blog. And roped my man into creating a logo for me (soon come). What tech lacks is the cool factor. When most of us think tech, invariably we think nerd (sorry Neil). But tech is full of rock stars, and I’m focused on bridging the diversity gap by helping to put the cool into tech. If you’re the parent of a young Black kid, you know they emulate the rock stars. Well not rock stars literally, but cats in the public eye. Roll out a phlanx of sports or media superstars, and your kids are wide-eyed, imitating their moves on the court, pantomiming their videos or reciting their lyrics. We’ve got to elevate tech to rockstar status, to excite kids about the possibilities. I’m starting an organization whose primary mission is to encourage young Black kids to take up technology by exposing them to the superstars in the space. My plan is to partner with celebrities as a catalyst to spark interest in tech, and do it in a way that inspires them to explore tech professions in the future. I did a pilot of this program a few years ago with the Police Athletic League of NYC, called the Digital University, where we gave youth first hand experience with audio and video production, web development and social media management and marketing. We brought in DJs to teach them how to mix, VJs to show them video mixing, gave them cameras to shoot video, video editing software to create movies, and brought in a celebrity or two to keep them inspired. The kids loved it and we opened their eyes to the numerous possibilities which existed for them to explore tech-based professions. Although PAL ultimately opted to teach a cooking class instead of continuing to offer the program – because home ec is more important than tech..duh! – we were able to establish a proof of concept that the right program taught by the right people, with the right level of cool could connect with kids in a meaningful way. That experience has inspired me to go all-in and form a not-for-profit singularly dedicated to rebranding the tech industry to make it more enticing to our youth. So stay tuned for more updates as I bring TechCool.org to life. It will probably start off with a blog, and then some speaking engagements, before I’ve got bonafide programming and a formal offering. But I’m committed to giving tech a facelift and helping to close this divide. Feel free to share your thoughts on my plan and hit me up if you’re interested in being a part of the TechCool movement! 30 Under 30. Forbes counts F2FA founders among the brightest. Isaac Boateng and Sandra Appiah are two to watch. Well this week two young cats I mentor were honored with a remarkable distinction. They were cited in an article in Forbes magazine. The financial publication for business scions, industry titans and world leaders. 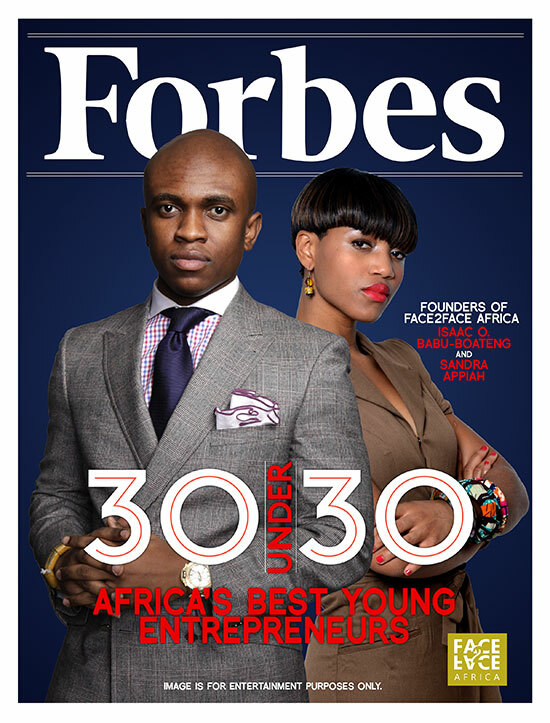 The article, titled, 30 Under 30: Africa’s Best Young Entrepreneurs, featured 30 of Africa’s most enterprising young entrepreneurs under the age of 30. If you know Forbes, then you know that this is a pretty big accomplishment. So you can imagine how my chest swelled with pride as I read the article. Sandra Appiah, 23 and Isaac Boateng, 28, both Ghanaian nationals are the founders of Face2Face Africa (F2FA), a New York city-based new media company with a mandate to restore Africa’s image within the global community. Sandra Appiah and Isaac Boateng are my mentees. Mind you, they didn’t even tell me they were being cited. Amazing and modest? I love these kids! It just popped up Monday morning in one of my Google Reader feeds. But I have a knack for molding young talent. I’ve worked with and mentored two other young entrepreneurs, who have achieved similar distinctions. So this was not a fluke. It started with Corey Llewellyn. “CL” as he’s know among his friends, was one of my first clients back in the day. He walked into my office and asked me to help him start a company. At the time, he couldn’t afford me, but I took him on anyway. He was a smart kid, with great ideas and hella contacts. And I could see that spark in him that told me he was going places. Fast forward to 2008 and The Network Journal listed CL as a member of the 40 Under 40 class of 2008. And the company, Digiwaxx, is a household name in the music industry. He was 30 at the time. Then there was Chris Anokute. He too, had the spark of greatness. Chris told me he was going to be a record executive the moment I met him. When everyone was saying he should finish college, I told him to follow his dream. I got him his first internship at a record label, and the rest is history. In 2007, Billboard saw what I saw and listed Chris in their 30 Under 30 class. And the kid who started off as my intern, is now the Senior Vice President of A&R at Universal Records. So it’s not without precedent that my current underlings are getting their props. Forbes is just the tip of the iceberg. Now, I can’t really take credit for the success that these cats have achieved. Their vision for Face2Face Africa crystalized long before they encounter the entrepreneur whisperer. All I did was help them cut to the chase and fast track the success (that they’ve already started to achieve). In fact, my best work comes from working with cats who know what it is that they want to do. Folks like this just need a reassuring word or objective advice to keep them on the right path. And I’m quite adept at helping people see their untapped potential. There I go bragging again. Anywho, the point of this meandering post, is that Sandra Appiah and Isaac Boateng, are two young cats who’s names you’d better remember. The CollegeDJ Music Festival is coming. Artists are you ready? For those of you who know me, you know that I was one of the founders of Digiwaxx, perhaps the largest digital music promotion service ever. Alongside Corey Llewellyn and Andrew Edgar (the REAL founders of Digiwaxx), I helped develop a fledgling brand into a household name. At the time, Digiwaxx’s core was DJs from all walks of life: radio DJs, college DJs, club DJs, satellite DJs, pirate radio DJs, hobbiest – anyone who spun vinyl, digital vinyl or CDs. And our base was huge. But as the labels were increasingly focused on mainstream airplay – essentially the stuff they could track – DJs that weren’t on radio became less important. So as Digiwaxx grew, labels became wholly focused on the mainstream DJs (radio, satellite, mix show), and less on the others. As technology started to change, so did the appetite for DJs, who became less enamored by Digiwaxx’s methodology of sending daily email blasts (sometimes up to ten in a day). Where our open rate used to be well over 90%, we’d be lucky to get 50% and by the time I left Digiwaxx, our open percentage was below 10%. Mind you, by that time, we had well over 25,000 registered DJs, so 10% still represented a fair number of DJs, and our reach was worldwide. Fast forward six years, and I’m now working with another brand, that’s catering to DJs. This time, the focus is exclusively college DJs, and the name of this brand is, appropriately enough, CollegeDJ. Now, you must know, that CollegeDJ was started by my younger brother, Celestine, who never understood the allure of Digiwaxx. Through my eight years with Digiwaxx, he was constantly pointing out areas where we could improve or risk obsolescence. As is typical of older brothers, I ignored his entreaties, opting instead to tow the party line, and follow the initiatives we had set, with blind allegiance. Even as our stats started to decline, labels balked at the price for our service, and the grumblings (about the frequency of blasts or the failure of labels to respond to requests from smaller DJs) from our membership became louder, I stayed the course. When I finally did leave, it was just as my brother was launching CollegeDJ, at Penn State, as the antidote to Digiwaxx. 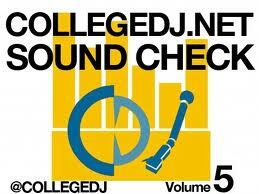 CollegeDJ has quietly become the standard bearer for college djs across the nation. Every day, CDJ publishes articles about label signings, new artists, and the latest music releases, keeping its membership and readers up to speed on the goings-on of the music industry. Four or five times a year, CDJ puts out a mixtape, CDJ Sound Check (now on it’s 7th volume) featuring the music of underground, up-and-coming, and established artists alike. And now, in it’s second year, CDJ hosts an annual music festival, which brings together all the brightest talent in music and DJ culture for a full day of panels, music performances, DJ battles and partying. This year, the CollegeDJ Music Festival takes place Sunday, November 11, 2012, from 7:00 pm to 4:00 am, at the storied Sullivan Hall. I’ve been working quietly behind the scenes, doing a little here and there to help ensure the success of the event. Two years ago, CDJ brought out the likes of Najee, Zuzuka Poderosa, DJ Valissa Yoe, The White House Band, and others. But this year’s line-up is sure to raise the bar. I can’t talk about it until the confirmations are in, but rest assured, it’s going to be off the chain! With over 16,000 ‘likes’ on Facebook and over 18,000 followers on Twitter, CollegeDJ has certainly struck a nerve with a significant niche audience. It probably doesn’t hurt that the founder of CDJ is an SEO/SEM/social media ninja – with a Ph.D. to boot! Make sure you mark your calendar! And if you’re an artist, and would like to perform, make sure you reach out to CollegeDJ right away! You can find CollegeDJ on their site, on Facebook or Twitter. For those who know me, I’ve been a lawyer in private practice (Chukumba & Cook, LLC), IP specialist (Musa Consulting), partner & general counsel for a digital promotions company (Digiwaxx), head of business and legal affairs for a production company (Marksmen Productions), partner and director of business development for a web and application start up (DOT.TUNES), business development manager for a mobile aggregator (MX Telecom) and I’ve counseled numerous companies in the capacity of an independent business consultant (Red Hot, Sony, Wu-Tang, etc.). I’ve also started a number of different ventures, USA Records, Source International, C&C Consulting, and most recently, Shadow Propaganda. I’ve had one job in the past twelve years (MX Telecom). When I interviewed for that job, I was asked ‘I can see that you’ve done a lot of entrepreneurial things in the past. How do I know you’re going to stay here, and not leave to pursue the next big thing?’ At the time, my response was that mobile was where I really wanted to be, and I saw a lot of growth in the space. I wanted to be a part of that growth. But a little over a year later, I find myself, once again, engaged in a new entrepreneurial venture, FonLabs, and have fully come to terms with the fact that I’m not an employee. To put it plainly, I’m a chronic entrepreneur. I’ve met many entrepreneurs in my day, masquerading as employees. We’re fairly easy to spot (if you ask me). While they may be on their 9 to 5 grind, their minds are constantly engaged in contemplating grandiose plans, that are simply incongruous with their jobs. They are trapped between the security of a steady paycheck and the lure of true wealth that can only be achieved by working for self. Being an entrepreneur has its obvious risks. There is no steady paycheck. You’ve got to earn to eat. What’s more, if you’re not constantly hustling, the burden of your expenses can quickly break you. But the risks pale in comparison to the upside. Your time is your own. There is no one over your shoulder, critiquing your performance or micro-managing your every move. No office politics. Unlimited earning potential. I could go on and on, but in a word, being an entrepreneur is freedom. Many of the businesses I’ve started never hit the 5 year mark (the benchmark of a successful business). A few did. Some of my businesses generated over six figures annually. Others stayed in the red. The sign of a successful entrepreneur, however, is not home many times you failed or succeeded, but rather, whether you were able to achieve success after failure. Did you throw in the towel? Or did you get up, bloody and battered, but unbroken and ready for another round? I am an entrepreneur, and I think I may have finally found the brass ring. Whether FonLabs, is, indeed, that ring, remains to be seen. But I can tell you definitively, I’ve got a great team of like-minded partners, all hungry and ready to take the world by storm. We’ve got a tight plan, a fantastic product, excellent relationships and the indomitable spirit, that is the signature of any true entrepreneur. For those of you suffering at a dead-end job, or merely tired of the day-to-day of working for a paycheck, come up with an exit strategy. Focus on your strengths and what truly inspires you. Stack away some chips. Put a little aside each payday and plan for the day that you can liberate yourself and do you. That’s the art of the entrepreneur – doing you – against all odds. Here’s a ‘BIG UP!’ to all my fellow entrepreneurs. Holla at your boy if you ever need any advice, or merely words of inspiration. I’ve given counsel to hundreds of people in my day, and I’d be happy to offer you whatever sage advice I can.